Less than 24 hours until Bex gets to go home for her first ever mid-semester break in all of college history! Here I come Penfield, NY! I can’t wait to see my lovely family, enjoy the joy and comfort of home and share the world of Rochester, NY with my good friend, Cate who is coming home with me. 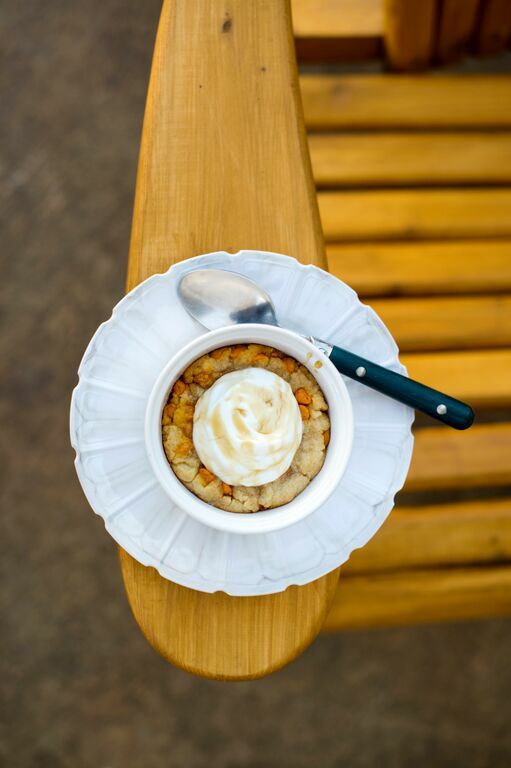 We are pretty pumped to enjoy just a few of the fall festivities: apple-picking, fall baking and decorating, pumpkin-spice lattes, brisk walks around town and maybe even some Schutts Apple Mill fried cakes. This past week, I spent a very enjoyable afternoon with the St. Lawrence University photographer Tara Freeman when she came over to my house to do a little Breakfastwithbex shoot for an article going up on the website soon. This was the first time we met, thus I wanted to treat Tara to a little fall treat on a chilly Thursday afternoon! I decided to experiment with a pumpkin spice cookie ( I know, maybe I shouldn’t experiment on new friends…) and it turned out to be just what we were craving! There is nothing better than fall in the North Country! Now, what could be better than a warm cup of java and this perfectly-sized pumpkin spice cookie on a nice fall day?! Nothing. So check it out for yourself! In a small cereal bowl, melt 2 tbsp. butter in the microwave for about 25 seconds. Mix in sugars and vanilla until smooth. Then mix in salt, baking soda and flour. Lastly, throw in your pumpkin morsels. Mix well with hands and mold dough into ramekin evenly. Bake for 15-20 minutes or until cookie is cooked to liking. Let cool for a few minutes. Spoon a dollop of Greek yogurt on top of cookie and drizzle with honey. Bon appétit!